The Scioto Foundation has named Virginia Ann Chatfield Moore to the position of Scholarships and Grants Coordinator, adding a new staff person to supervise two areas of substantial growth and development in the operation and programming of the local community foundation. As coordinator of the Foundation’s scholarship program, Moore will promote scholarships’ availability to students and the media, manage the online scholarship applications and oversee its data files, schedule the annual scholarship selection meeting and serve as the scholarship committee’s secretary, send award notices to all Foundation scholarship recipients and work with the staff accountant to prepare all scholarship vouchers for awards to colleges and universities. Moore’s responsibilities in managing the Foundation’s grants program include maintaining a year-to-date listing of grant allocations, preparing quarterly grant packets for Foundation Board members, sending notices to all grantees, preparing all grant award vouchers, publicizing all grant awards and notifying donors of awards, and maintaining the annual grant evaluation schedule. In addition, Moore will assist the Scioto Foundation Executive Director with the UCAN program, as well as training programs for potential scholarship and grant applicants as needed. Moore recently retired from Shawnee State University where she has filled various positions since 1984. During her last two years at SSU from 2013 – 2015, Moore served as part-time Coordinator of the Office of Educational Partnerships where she directed the Advanced Placement Summer Institute which trained teachers for AP courses. Moore was Director of University Outreach Services from 1997 – 2010, Project Director of Tech Prep from 1993 – 1997, Coordinator of Continuing Education from 1987 – 1993 and Coordinator of SSU’s GED Program from 1984 – 1987. Moore graduated from Valley High School in Lucasville and earned a Bachelor’s Degree in Consumer Home Economics at Ohio University. She taught at Eaton High School in Eaton, Ohio, from 1976 – 1977 and at Jonathan Alder High School in Plain City from 1977 – 1981. 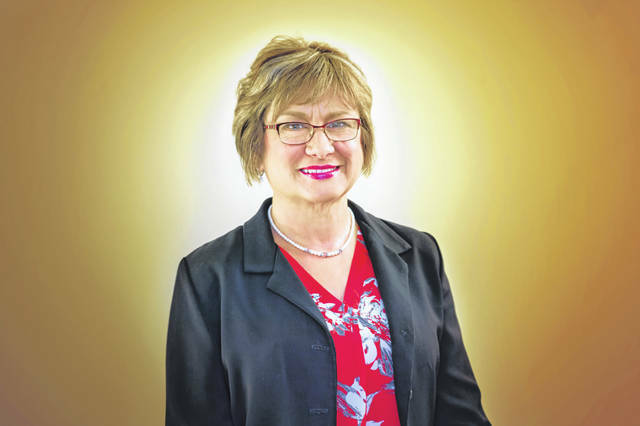 Returning to OU to earn a Master’s Degree in Business Administration, she worked as a Graduate Assistant in the School of Home Economics and the College of Business from 1981 – 1984. She also completed a course in Reading Endorsement K – 12 from Shawnee State in 2014.